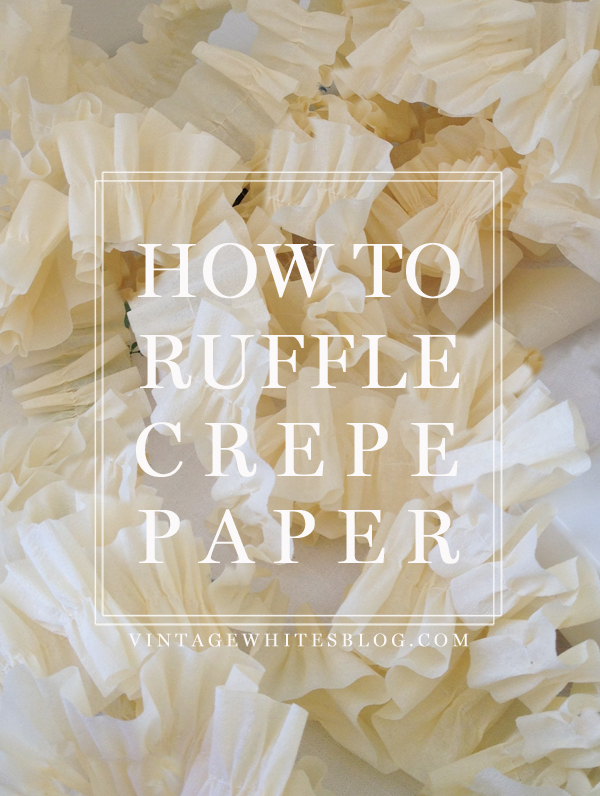 For a few weeks now, you've been seeing this adorable ruffled crepe paper pop up in our posts. We're here today to show you just how easy it is to make, and we also have some FREE Christmas tag printables illustrated by Emma Block! For the crepe paper, all you need is a sewing machine, crepe paper, and thread. Set your sewing machine to the highest tension you can go, mine goes to 5. It works great! Stitch a straight line down the middle and watch it ruffle!! If you'd like more ruffles (who doesn't?) gently and loosely hold the spool of thread on top of the sewing machine as you go. That's it!! Isn't that easy? I'll bet you could do it with your eyes closed! Don't do that. I don't want to be responsible for any sewn fingers. Just in case you're more visual, here's a video tutorial! The adorable gift tags you see in the pictures were illustrated by Emma Block, an amazing artist from the UK. You just HAVE to go check out her work! She is so incredibly talented. Emma designed our Christmas market posters! We just ask that before you download, that you visit Emma by clicking HERE, and leave her a comment! Thank you! The fine print: Obviously, don't resell these or use them for commercial purposes. They're just meant for you and your cute Christmas presents this year! If you'd like to feature these on your blog or your Facebook, we just ask that you link back to this post, and we'd love it if you let people know where it came from! Jennifer, thank you!!! XOXO -- your blog is gorgeous! I love the crepe paper. I have been wanting to to do this and after watching your video I feel confident that I can do it now. I love your blog and everything you do. This is the first video that I have seen of yours and I am going to look for more. Quick question. I can only find bright colors at the store. Where is the best place to buy crepe paper ? Thank you so much for sharing.....info, tags and inspirations!